The architectural spirit of Atlanta embraces tradition and modernism, with rolling hills and 19th century columned front porches surrounded by shimmering high rises marked by fresh minimalism. AEP is sharing a bit more with you this month about our love for space and the creative visionaries that make it possible. We have had the good fortune of being a primary photographer for Cox Media. 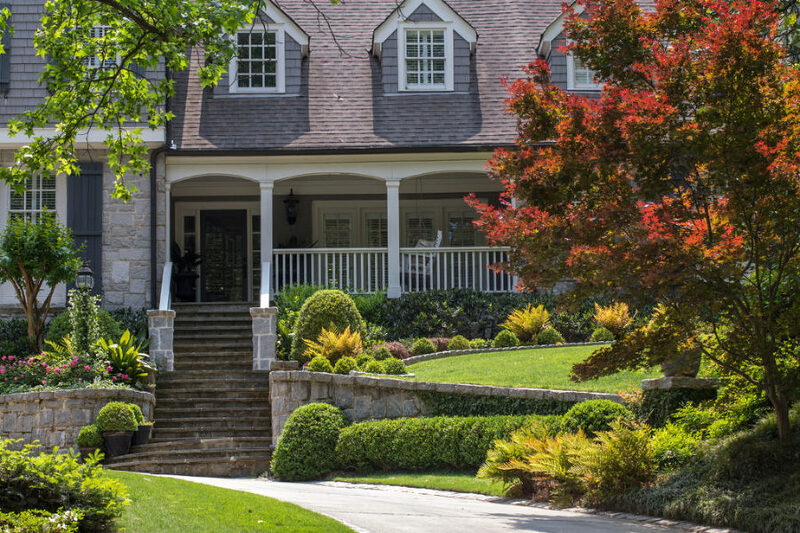 In this role, we often shoot beautiful homes around Atlanta for their publication Living Intown magazine. 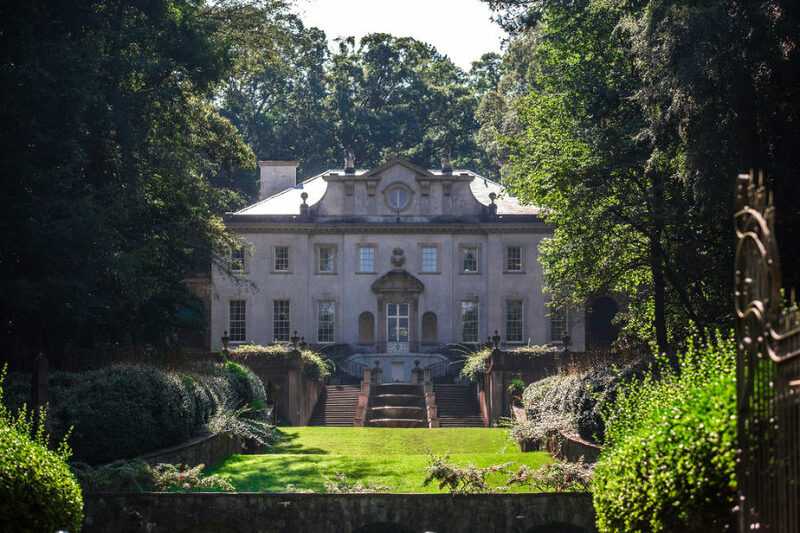 The breathtaking Swan House (seen above) is the height of southern opulence. With a property as grandiose as this beloved architectural gem, Jenni and her team of shooters can capture its grandeur, sweeping gardens and European influence – whose architect spared no expense on details. We welcome the chance to work with agents, developers, architects and design firms to bring their brand to visual fruition in the form of sharp, quality images that Jenni and her experienced team provide. Are you in the luxury market? The prestigious homes (shown above) on Club Drive in Brookhaven require a professional eye and the best equipment to capture their impressive silhouettes, interior and exterior spaces and the details that make these homes stand apart from others. Those who build, such as Thrive Homes, in areas with major market potential like Kirkwood have secured Atlanta Event Photography for capturing images that can be used for their marketing collateral. From the top-grade stainless steel appliances and an abundance of sunlight in their kitchen spaces, spacious walk-in closets, crown molding and charming porch fronts that welcome a new generation of families, we know how to highlight the key features to make their properties stand out. Could anyone resist a bath with that view? The Handley’s historic home (pictured above) was demolished by a fire and painstakingly restored to match photos and sales brochures taken at the turn of the century. As for Jan Baker’s two bedroom condo in Buckhead? That view speaks for itself! Additionally, AEP specializes in portrait photography for real estate agent. Perhaps that 5-year old grainy image taken with your cell phone is no longer serving your LinkedIn profile, business card, or website. Jenni understands the process of capturing you and the company you represent at its best. We understand light, composition, location and the power of imagery when connecting you to a potential or current client. Whether you have a creative direction in mind – or need our input to elevate your photoshoot – we are here with a listening ear and creative eye. Our portrait photography has ranged from gallery owners on the Westside, boardroom executives, chefs, celebrities, business owners across all industries and even politicians. Our photography subjects have been as renowned as designer Michel Boyd of SmithBoyd Interiors, Darius Rucker, Ryan Seacrest, Sheryl Crow, Chef Kevin Gillespie and Mayor Kasim Reed … to name a few. Whether it is a traditional home, loft, penthouse or lake house – we understand how to capture images that optimizes the space you represent and are trying sell! Our camera equipment is ready. Will travel. Even on weekends. We sincerely look forward to hearing from you! Valentine’s Day … So Sweet. Photographing for Living Intown magazine takes us through the city on different assignments. Shooting local chocolatiers for the publication in the past has come very handy in recommending some spots in which you can pick up beautiful chocolates and confections this Valentine’s Day. We particularly like these vendors because of the quality and detail in every piece they put out for their customers and the impressive packaging. The gift of giving is thoughtful without taking much thought, since CACAO Atlanta Chocolate Co., JARDI Chocolates and Xocolatl Small Batch Chocolates take the guess work out of it. We recommend the Dark Chocolate Lover’s Box or Chocolate for Two Gift Box from Xocolatl, the JARDI Sampler of seasonal flavors for $28 (below) and anything from CACAO (because you’re never wrong with truffles!). Inspiration, business strategies, beautiful venues that cater to design industry leaders in Atlanta … Design Bloggers Conference has it all. The event presents an opportunity for interior design bloggers, decorators, and ASID interior designers to network with others from the furniture, fabrics, and accessories industries. Attendees receive tips from industry experts on building a personal brand and using multiple social media platforms to build and engage their audience. It was introduced in 2011 and is now in its sixth year. Atlanta has hosted the conference since 2014 and AEP has been honored to capture it each year. We enjoy being on-hand to capture Atlanta at its best with beautiful businesses, excited attendees, and amazing food and cocktails from popular restaurants and caterers. Keynote speakers for the event includes some heavy hitters in the world of interior design. This year was no exception, India Hicks, Cynthia Rowley, Nathan Turner, Mary McDonald, and Justina Blakeney were just a few of the speakers in attendance. They gave the audience insightful tips on the current state of the design industry, trends, and the industry’s future. A wide spectrum of topics were presented, from Instagram Marketing to Blogger and Brand Collaborations. The intent of the conference was to help bloggers not only grow their blogs, but also grow their businesses. The conference is organized to give attendees a lot of time to connect with potential resources for future collaborations and projects. This year, the Container Store and Ferguson Bath, Kitchen & Lighting hosted attendees. In the past, Atlanta Station Lofts, Bjork Studio, and Ethan Allen have generously held the conference. During its first year in Atlanta, KR SteakBar hosted a sit-down meal which is appropriate since impeccable restaurant interiors have become the standard. Gorgeous lighting, furniture, appliances, and accessories were Instagram-worthy. Event-goers had a beautiful backdrop for their social media platforms. In 2015, Bjork Studio recreated the vignettes using all Sunbrella material they made for a luxury space in New York City. Next year, the conference will be held on March 5-7th, in Los Angeles. Check out the highlights from the 2016 conference if you have any interest in attending. Special thanks to the many sponsors of this great event and Sara Rossi of Meredith Corporation for allowing AEP to be a part of this inspiring affair. Atlanta is a city bustling with creative individuals. They create art, music, culinary delights and much, much more. In keeping with the spirit of exploring the city, AEP has decided to highlight a few local designers we’ve had the pleasure of photographing over the years. Nothing compliments an outfit like a beautifully, handcrafted accessory. Malene Davis, designer at iram-inal designs, successfully turned a leisurely hobby and modest dream into a successful fashion design business. Her creations can be found online or at the Beehive, a local boutique featuring local entrepreneurs. Atlanta Made features furniture, home accessories, jewelry, and other items made by local artists. The showroom is owned by Michelle Larrabee-Martin and is located in the Westside Provisions District. The store partners with local talent to sell goods made and designed in the Atlanta metro area. For many women, beautiful skin is a must, add the organic stamp, and you’ve probably made a sale. HollyBeth Anderson, the creator of HollyBeth Organics, sells a wide range of organic skin care products. Her products are USDA Certified Organic, promoting not only beautiful skin, but reducing her company’s carbon footprint. Surprisingly, men’s skin care won’t take a back seat in this post. We’ve found a company that caters to men and their skin. Dream Beard sells products and apparel for men and was founded by Ryan and Brittany Lane. Check out their website to learn more about their company and the awesome story behind Dream Beard’s creation. Glassblowing is a fascinating art form. Nate Nardi, of Decatur Glass Blowing, sells custom glass pieces on the east side of Decatur. His shop features a showroom, a space to work and teach classes. His mood dictates his creations. Leather bag sales are on the rise for men. These bags are used for work, travel, etc., the ones featured above can be purchased locally from Jay Gray Brand. Jason Carter, Jared Reeder, and Simon Gray created the bags when they couldn’t find a leather bag that represented their style. Barbecue is considered a staple of Southern American culture, so it’s no surprise that one of the most popular restaurants in Atlanta is Fox Bros. Bar-B-Q. The restaurant has been featured on many television programs and in many print publications. The restaurant is owned by identical twins, Jonathan and Justin Fox. The spot is in a central location near Little Five Points and is always packed. Old Fourth Distillery is the first legal distillery built in the city limits since 1906. The distillery was started by Jeff and Craig Moore and Gabe Pilato. It is located in the Old Fourth Ward. Tours of the distillery are available and its spirits can be found in approximately 250 bars and restaurants. As stated before, Atlanta is a diverse city with lots of things to see and do. We hope you have the opportunity to support the local businesses and artists we’ve featured.